This excellent little book is part of the series ‘A Very Short Introduction’ and is a blow-by-blow account of the Spanish Civil War. A confusing war with complicated names, political intrigues, fractured parties and much in-fighting, Helen Graham explains the origins of the war, the domestic and international contexts, and is particularly good at the social impact. If you have ever been confused by the various factions on each side, the connections with the wider international scene at the time, and the inescapable network of links with the days preceding World War Two, then this book will help bring clarity. 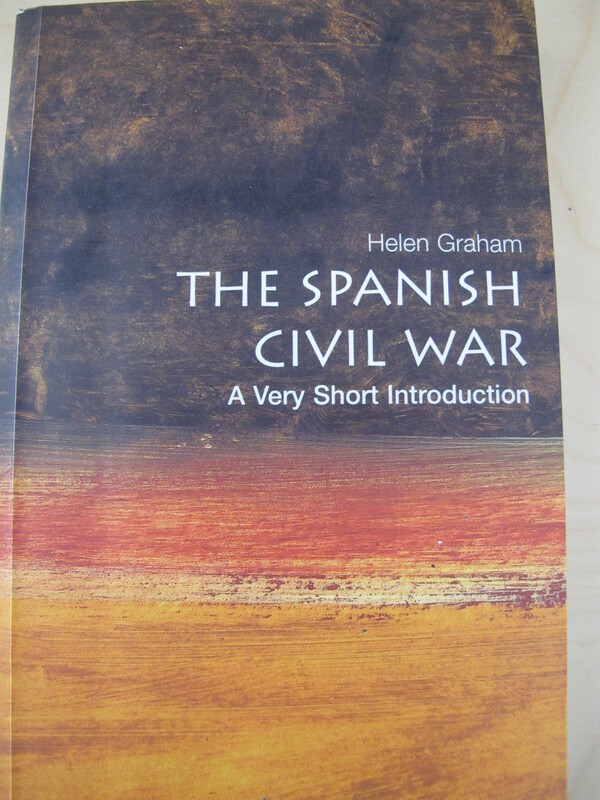 Although Helen Graham is an academic writer, she is Professor of Spanish History of the University of London, the book is more accessible than other Civil War books I’ve read. This entry was posted in Books about Spain and tagged Andalucia, Sandra Danby, Spain, Spanish Civil War, spanish history on May 15, 2013 by sandradan1.